CJ was born in 1980 in Weston-super-Mare. She has First in Creative Writing and Writing for Children and now works as a freelance children’s fiction consultant and lectures in Writing for Children at Bath Spa University. She loves Masterchef, Gummy Bears and murder sites. She hates carnivals, hard-boiled eggs and coughing. The movies Titanic, My Best Friend’s Wedding and Ruby Sparks were all probably based on her ideas; she just didn’t get to write them down in time. Before she dies, she would like to go to Japan, try clay-pigeon shooting and have Ryan Gosling present her with the Academy Award for Best Original Screenplay. Chat to CJ on Twitter @CeejaytheAuthor. Monster: At sixteen Nash thought that the fight to become Head Girl of prestigious boarding school Bathory would be the biggest battle she’d face. Until her brother’s disappearance leads to Nash being trapped at the school over Christmas with Bathory’s assorted misfits. As a blizzard rages outside, strange things are afoot in the school’s hallways, and legends of the mysterious Beast of Bathory – a big cat rumoured to room the moors outside the school – run wild. Yet when the girls’ Matron goes missing it’s clear that something altogether darker is to blame – and that they’ll have to stick together if they hope to survive. 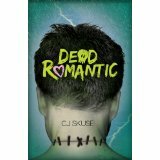 Dead Romantic: Camille wants to find the perfect boy, with an athlete’s body and a poet’s brain. But when she’s mocked at a college party, she knows there isn’t a boy alive who’ll ever measure up. 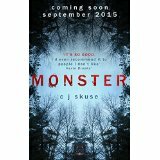 Enter Zoe, her brilliant but strange best friend, who takes biology homework to a whole new level. She can create Camille’s dream boy, Frankenstein-stylee. But can she make him love her? Rockoholic: Jody loves Jackson Gatlin. At his only UK rock concert, she’s right at the front. But when she’s caught in the crush and carried back stage she has more than concussion to contend with. Throw in a menacing manager, a super-wired super-star, and a curly-wurly, and she finds herself taking home more than just a poster. It’s the accidental kidnapping of the decade. But what happens if you’ve a rock-god in your garage who doesn’t want to leave? 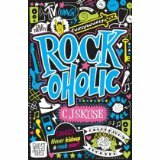 Jody’s stuck between a rock-idol and a hard place! From the pen of C.J. 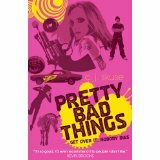 Skuse, author of 2010’s super cool debut Pretty Bad Things, comes a tale of rock star obsession gone nuts.